Extreme Yellowing – As the white enamel layer wears down, the yellow dentin underneath becomes more visible. Increased Gum Disease Risk – Our ability to naturally fight infections—like gingivitis—decreases. Dry mouth – Often a side-effect of taking more medications. Remember, we can help you with these challenges! Losing Your Teeth! Isn’t it great to know that together we may make dentures (like your grandma’s) a thing of the past? 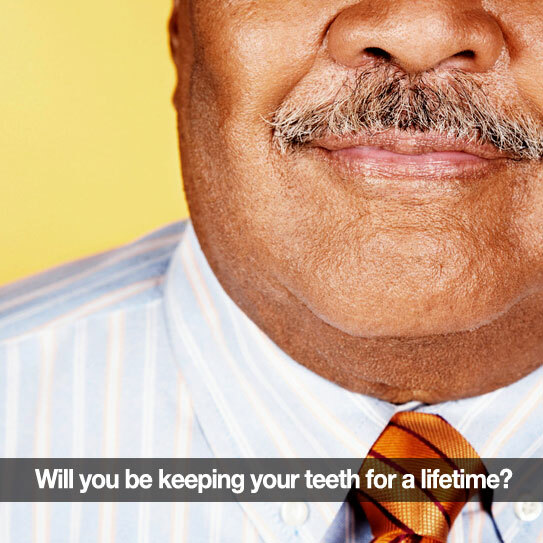 Although oral health risks increase with age, we know how to combat them! And with good habits, your natural teeth can be around as long as you are. No denture adhesives, no living off soup everyday. So let’s put in the little bit of work now. Make sure that you brush and floss every day—and maintain cleanings and check-ups. Thank you for the trust you place in us. We appreciate you.